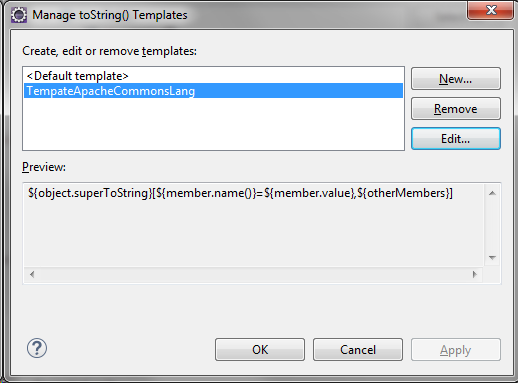 Want to get the benefit of Apache's commons-lang ToStringBuilder class, but don't want to add the dependency? 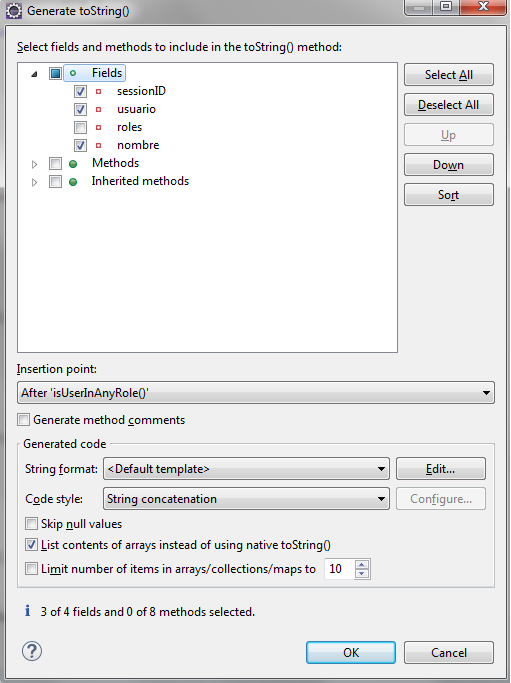 Here's how to do it with Eclipse. Recently, I was modifying a common library and I wanted to create a toString method with some (but not all) of the fields of the object. This is straightforward. However, as simple a solution as it is, it requires us to include Apache commons-lang as a dependency for your library, a price that you may not want to pay for some util components. When regenerating the toString() method, tests turned green again and allowed me to remove the commons-lang dependency from the project.